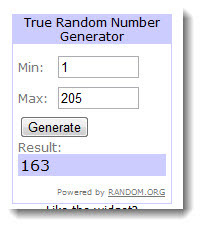 We used http://www.random.org to generate a random winner for our iPod Nano. Our 163rd subscriber... Julie Kerr from Dove Elementary! Congratulations Julie! Your iPod Nano will be arriving soon via inter-school mail. Be sure to stay tuned to the GCISD LEAD with Technology blog. You never know when we might give away another fabulous prize! We all know how our students think it would be cool to text, right? Well, here is a fun website that will let you do it with an educational purpose. This site works great on the iPads as well, and it's even easier to save the picture. Just take a screen shot by pressing the power button and the home button at the same time. The picture will be saved to your photo album. Make sure you scroll down to the bottom of the webpage for a few ideas on how you could incorporate it into your curriculum. Here's Tonya Dean's example using the concept of division and/or fractions. It took her less than 5 minutes to do this! The picture of the text could then be put up on your website, wiki or a blog. GCISD Instructional Technology offers several places you can go for ideas and resources. At the top of this blog, you'll notice a link to Tech Lessons. This is a wiki site where we collect links to activities and web resources for grades K-5 as well as links to many websites that can be used by students of all grades. There are also links to a variety of teacher resources. When you access the wiki, you'll notice a message at the top of the page that says you aren't a member of the wiki. You do not have to be a member of the wiki to use it. Simply click the Dismiss link or just ignore the message. The other link at the top of this blog takes you directly to our iPad resources page on Tech Lessons. Here we share links to a variety Web 2.0 websites that work on the iPads as well as a list of recommended free apps, tips and trick for using the iPads and links to model iPad lessons. Welcome to the GCISD Instructional Technology Blog. Here you will find technology resources including the latest Web 2.0 tools and iPad resources that can be implemented in your classroom. We look forward to providing practical information for you each week. Please be sure to "Subscribe" so you will receive an email when a new post has been published. You can read the post through your email or click on the link to go to the site. Be sure to comment when you find posts useful to you or your curriculum. We look forward to hearing from you.Anyone that signs up for the weekly updates by Friday, January 20, will be entered in a drawing for an Apple Ipod nano for your classroom!